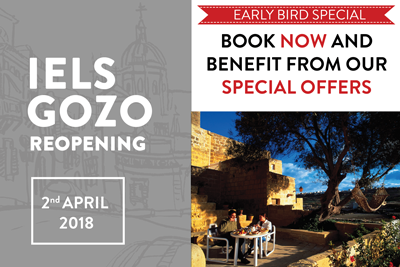 Our Gozo school is about to reopen its doors on April 2nd, 2018. 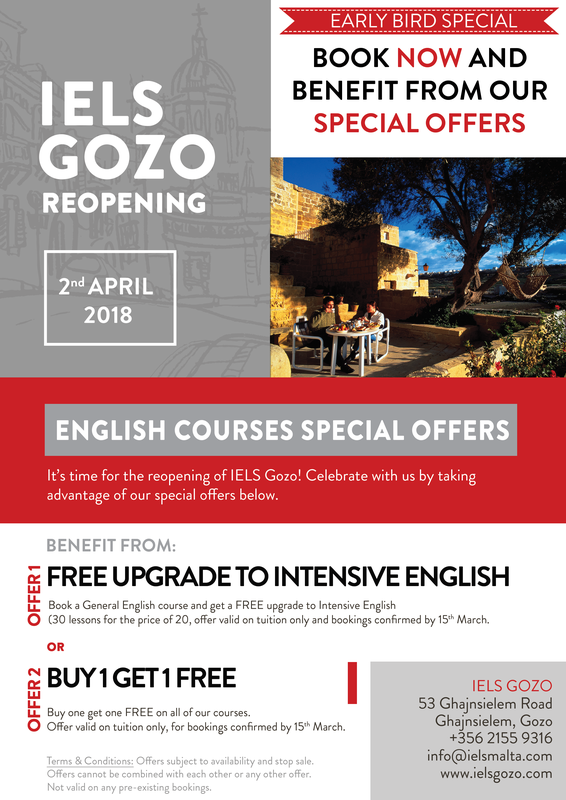 Book a General English course and get a FREE upgrade to Intensive English. (30 lessons for the price of 20, offer valid on tuition only and bookings confirmed by 15th March. Buy one get one FREE on all of our courses. Offer valid on tuition only, for bookings confirmed by 15th March. Terms & Conditions: Offers subject to availability and stop sale. Offers cannot be combined with each other or any other offer. Not valid on any pre-existing bookings.